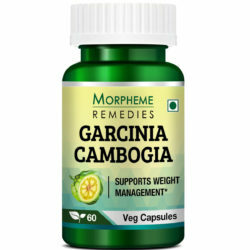 Morpheme Remedies Pure Amla Oil is cold pressed oil extracted from the Indian gooseberry fruit. Amla is believed to improve the overall health of hair and is known to make hair strong and beautiful. This Amla oil contains Vitamins E and C and antioxidants and helps nourish and condition the hair. 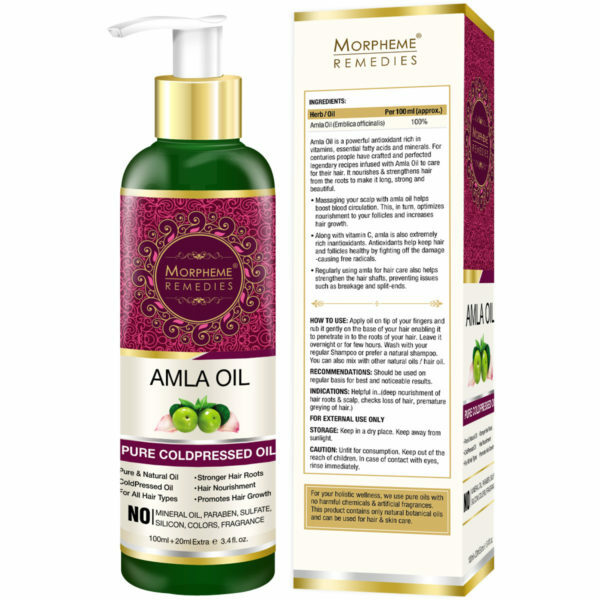 Morpheme Remedies pure cold pressed amla oil has no harmful chemical additives like paraben, sulphate, silicon, colors, and fragrance. It is considered beneficial for hair according to ancient traditions. Amla is believed to improve the overall health of hair and is known to make hair strong, and beautiful. It can be considered for regular use as it has a light texture and gets easily absorbed into scalp and hair. Amla oil is considered beneficial for the healthy growth of hair in the traditional medicine system. Morpheme Remedies pure amla oil is obtained with a cold pressed technique that helps retain the nutrients of the plant seeds. Being free from harmful chemicals is another favorable aspect of this product. HOW DOES AMLA OIL HELP IN HAIR CARE? These qualities of amla oil are attributed to the nutritional content of amla fruit. Amla is known to have powerful antioxidants and is rich in vitamins E and C.   The antioxidants play an important role to save scalp and hair from oxidative stress. Vitamin C and other phytonutrients provide rich nutrition to the hair so that they can grow at a faster rate and in a healthy manner. Your Hair needs extra nourishment to deplete the nutrients depleted by exposure to pollution, UV rays, and chemical treatments. Providing hair extra nutrition with the amla oil can help in keeping your hair in a healthy state. Apart from hormonal imbalance, lack of good hair care regime may result in rapid hair loss, premature graying and dandruff. For which type of hair is this oil suitable? This oil is suitable for all hair types. Can I use this oil on my kid’s head? 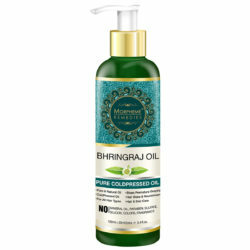 Since this oil is free of harmful chemicals, it can be used on your kid’s head. This is pure amla oil. A superior quality product. It is helping in strengthening my hair and is restoring the normal hair color. 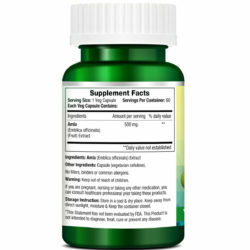 This is superior quality amla oil. It is helping in restoring the natural dark shade of my hair. There is less hair fall. I am using amla oil for a week. It’s helping in improving the texture and hair color. Amla hair oil is helping in boosting the natural color of my hair. My hair looks darker and shinier. It also helped reduce hair fall. There are multiple benefits of using amla oil. However, only good quality amla oil can provide the benefits. After using this particular amla oil for 2 weeks I can vouch for its quality. I was assured of the high quality of this amla oil after using it for a week. My hair feels soft and looks healthy. This oil is perfect for my dry hair. It helped darken my hair color. My hair feels and looks good after I started using Amla Oil. It helped arrest hair loss. My thinning hair is gradually regaining its health and volume. Amla oil nourishes the scalp and promotes hair growth. This is good quality amla oil. It’s helping in boosting my hair health. This is top grade amla oil. I am writing this review after using the oil for 6 weeks. 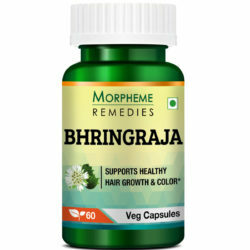 It helped reducing hair fall and helping in hair growth. It keeps my hair soft. This is the finest quality amla oil for hair care. My hair has become darker, there is less dandruff and hair fall. Amla oil helped darken my hair. 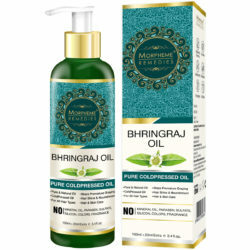 It keeps hair soft and lustrous, Excellent quality amla oil. This amla oil is really good. It helped reduce dandruff and improved the hair color. My hair looks darker after using this pure amla oil for 3 weeks. It helped reduce dandruff and strengthened my hair. 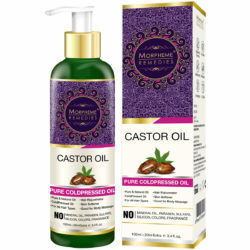 This is the perfect amla oil for hair care. I am using it for 2 weeks. My hair looks healthier. It helped reduce dandruff. Love this amla oil. Using it for the last 2 months. It is helping in hair growth. Hair looks thicker, smoother and shiny. I believe this is pure amla oil. Am using it for 2 weeks. My hair appears smoother, silkier and darker. Noticing fewer hair fall. Hair looks darker and shinier after using amla oil. It helped strengthen hair and reduced dandruff. Great for hair care. I started using this amla oil on my frizzy, dry and tangled hair. It is helping in restoring its natural texture and colour shade. It nourishes the hair and is promoting hair growth. A trustworthy product for hair care. I’m noticing improvement in the texture and health of my hair after using it for a few weeks. It added sheen and reduced hair fall and dandruff. Using this amla oil for a week. It is of the perfect consistency and works well on my hair. It leaves my hair smooth and manageable and helped reduce hair fall. Very good quality amla oil. My hair is now smoother and stronger. This is pure amla oil. It is the oil that the hair loves. I am using this for a month. It helped strengthen hair and promoting hair growth. Amla oil is one of the best hair oils for soft and beautiful hair. The quality of the oil is very important. After using this particular amla oil I can vouch for its quality. This is an excellent product for enhancing the hair health. My hair has become softer, smoother and darker. It is supporting hair growth. Amla oil helped in making my hair smooth and silky. It helped strengthen the hair and decreased hair fall. Amla oil keeps hair smooth and silky. It helped strengthen hair and reduced hair fall. Finding good quality pure amla oil is not easy. This is the perfect product I needed for my hair. After applying it for a few days my hair looks darker and smoother. This is pure amla oil. It keeps my hair soft and lustrous. Helps in fighting dandruff. There is significant improvement in the health of my hair. This is pure amla oil. It has produced amazing result. 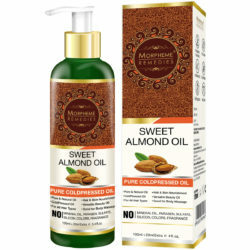 It helped make my hair smooth and lustrous. It strengthened my hair, reduced hair fall and split ends. Everyone is admiring my beautiful hair. Amla oil is excellent for hair care. It helped make my hair strong and healthy. This oil helped strengthen hair and reduced excess hair fall. Using this for a few months. Hair looks darker and shiny. Excellent hair oil. Helps reduce hair fall and dandruff. Hair looks smooth and silky. This is top grade amla oil. Helped in making my hair soft and silky. Hair looks darker and glossy. Good for fighting dandruff. This Amla hair oil helped reduce dandruff. Hair looks darker and smooth. Without added fragrance and other additives, this is indeed pure amla oil. 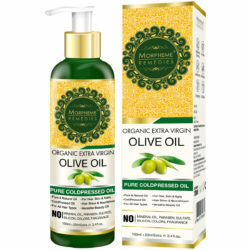 It has made my hair smooth and glossy, supporting hair growth and reduced dandruff. Amla hair oil has added sheen and smoothness to my hair. 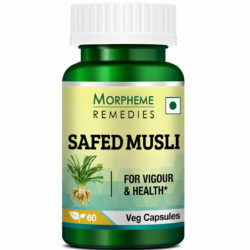 It helped reduce hair fall and dandruff. 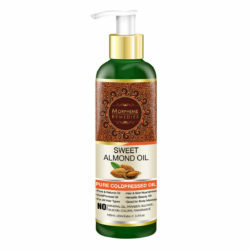 This oil is natural without additives. By using amla oil almost daily for a month my hair has regained its health. The oil helped stop excessive hair fall and strengthened the hair. 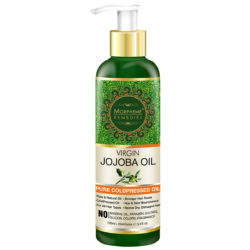 Regular use of the oil is known to improve the hair condition. Traditionally, oil is warmed up prior application. Leave oil on your hair at least for an hour or overnight for maximum absorption. Rinse off in the morning. Precautions of using oil Morpheme Remedies pure amla oil is strictly for externally use. We Maintain Complete Order Privacy! Nothing is Mentioned on the Box. 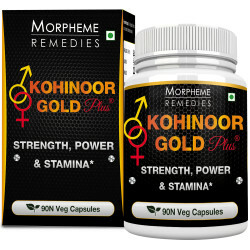 Morpheme Products Are Manufactured In GMP Certified Facility and Trusted by Millions of Users Worldwide! Enjoy the Shopping Experience and Checkout Using PayU, Paytm, Mobikwik or your Preferred Secure Payment Gateway! Subscribe & Get Exciting Offers! 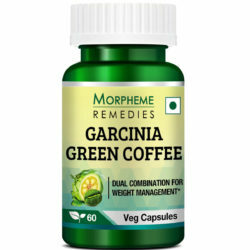 We are secured by 128 bit SSL making your shopping at Ayurvediccure as secure. Disclaimer: The information contained on this website and page is provided for informational purposes only and is not meant to substitute for the advice provided by your doctor or other healthcare professional. Information and statements regarding products, supplements, programs etc have not been evaluated by the Food and Drug Administration and are not intended to diagnose, treat, cure, or prevent any disease. Please read product packaging carefully prior to purchase and use. The results from the products will vary from person to person. No individual result should be seen as typical.